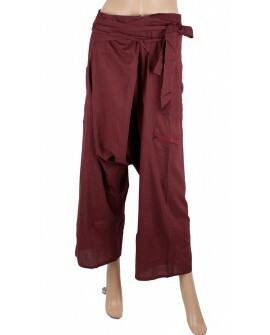 Selection of hippie pants, travel pants and boho trousers for various occasions. 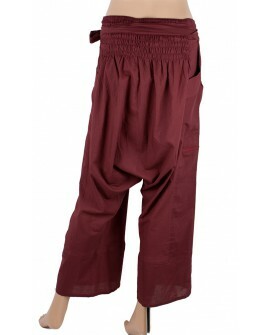 Here you will find popular harem pants, yoga trousers and other types of loose trousers that are earthly designed. 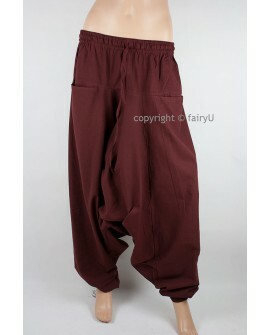 EarthyWear - Flared pants with large slits at the hem. Kind of flamenco feel but in trousers. Drop crotch pants. They have elasticated panel at the back plus additional straps at the front for perfect fit. Great for yoga and travels. Comfy yoga and travel pants made from colourful fabric. They have elasticated panel all around ensuring perfect fit. Hippie clothing from EarthyWear. Hippie pants made from thin cotton fabric. Perfect for travelling, festivals and yoga. Drop crotch pants from EarthyWear. Loose pants with elasticated panel all around. They can be also worn as dress! Perfect as travel pants and for festivals. 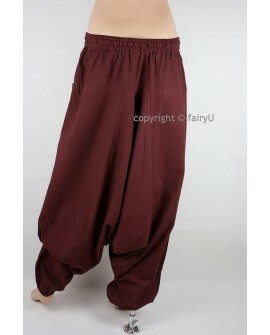 Harem pants from EarthyWear.